Medical schemes changing and heading for an uncertain future. The Changing Face of Healthcare in South Africa. The steady rise in the cost of healthcare is rapidly giving rise to medical schemes changing throughout the industry. And change will come, as the day to day cost of consumer goods increases across the board. In the past, people took pain tablets to continue with their normal daily routines. Today people go to a doctor for advice on solving their health issues. Visits to specialists, medicine and ops all come with a high price tag. This leaves healthcare schemes open to settling massive claims. In turn, it has the rebound effect of annual increases in fees, often above the rate of inflation. 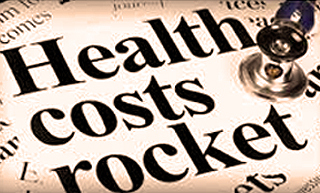 Medical financing is a cheaper option to the high cost of healthcare fees. In 2017 this form of healthcare cover will see a rapid increase among cash-strapped people. Consumers now have access to funds at good rates, for various medical procedures. This type of finance could also help stop the annual fee hikes as there will be more income to finance treatment for urgent health issues. There has been a decline in the ”watchful waiting” period. Gone are the days when most people, as well as doctors, would “wait and see” what happens in less threatening health conditions. Today people want a “quick fix” for their ailments and opt for medical procedures. This practice is another reason for the rise in the cost of healthcare cover. It is odd that while people are prepared to take their car to a panel beater approved by their insurance company, they won’t go to an approved doctor. Most schemes have a network of medical professions their members must use, but in most cases, the members elect to see a doctor or specialist they want to use. Choosing to see someone outside of the network is another factor to the ever-increasing financial claims burden. Consumer demand for flexibility and low-cost fees from medical schemes is not good for the future of this type of health care service. These challenges facing South Africa’s medical care industry will probably have to be resolved with the help of Government intervention. ← How Are Medical Aids in South Africa Doing?